I didn't like this book very much at first. I kept thinking it would be better from Arden's point of view since Eve seemed too straight-laced and lacking common sense. I'm glad I stuck with it, though, because the story picked up toward the middle and got even better at the end. 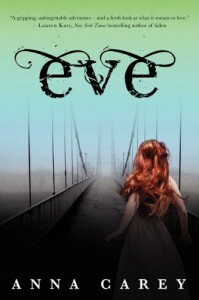 Eve still isn't my favorite character ever, but I'm definitely interested enough now to read the second book in the series.